There is, within many specialized operations, the need for a compact vacuum cleaner that can meet the Clean Room Class 100 specification. In developing the CRQ370 machine we have taken full account of the high filtration requirements whilst, at the same time, ensuring that the machine itself is, in every way, as convenient and user friendly as a standard model. The 5-stage HEPA filtration design provides a certified operational performance of 100% down to a particle size of 0.1um without loss of power or performance. The standard accessory kit supplied is complete for normal cleaning operation, but there is also a wide range of specialised tools and accessories should they be required for special uses. 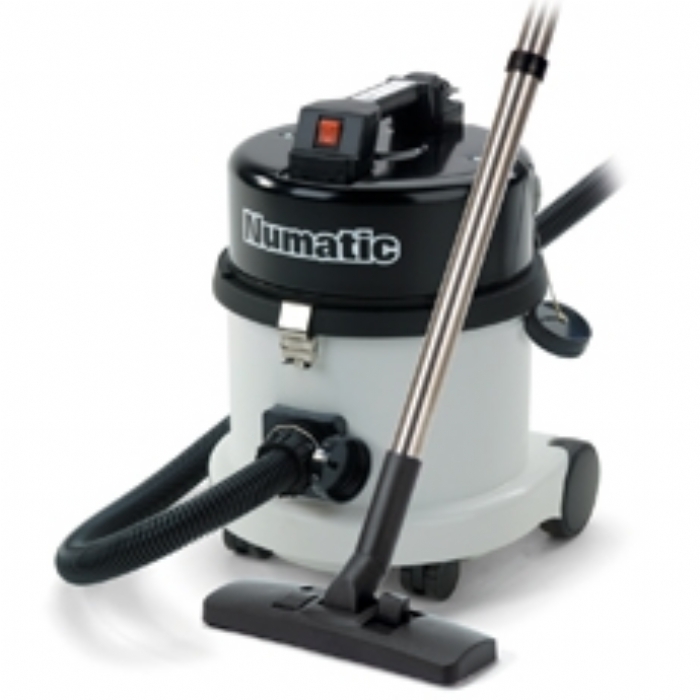 Numatic manufacture an extensive range of domestic, commercial and industrial cleaning equipment on its main site at Chard, in southwest England.